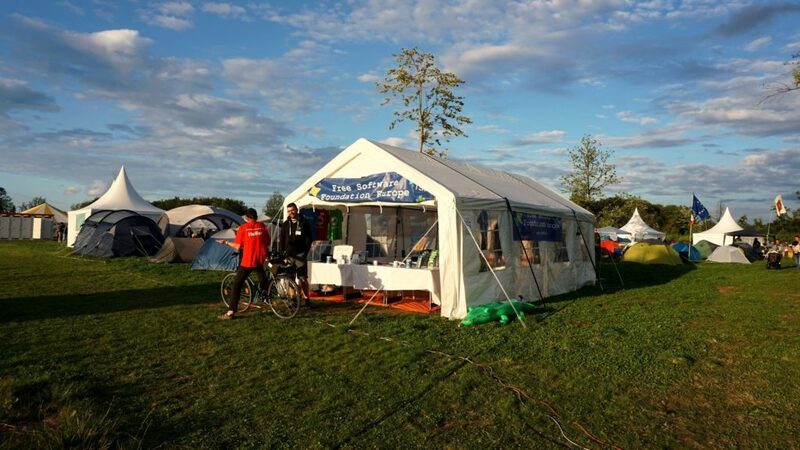 Four weeks ago, the FSFE had the pleasure to set up a village at SHA2017, a non-profit hacker-camp in the Netherlands. During five days in our village, we offered a public space to discuss, meet, hack sing-along and find shelter. 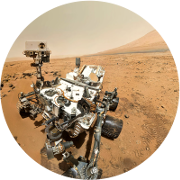 This blogpost is a rough summary of our activities with links and pictures. 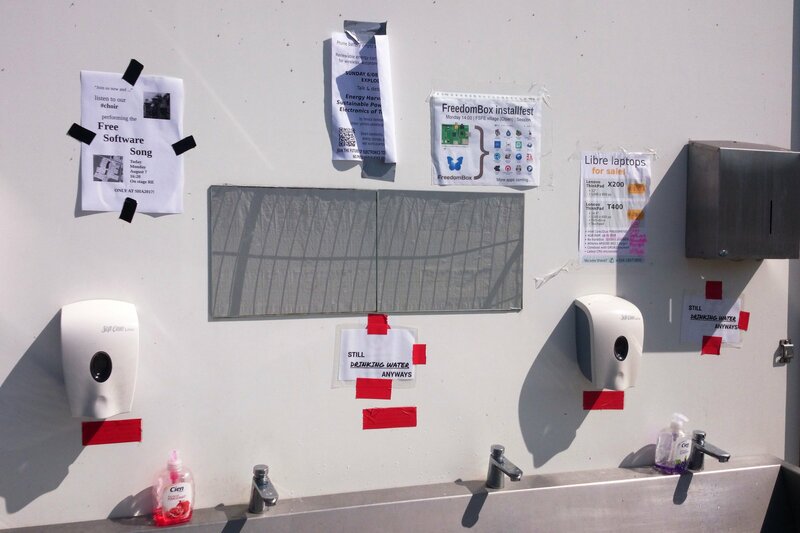 Fortunately, the “Free Software Village Europe” found its place in an exposed spot in the center of the camping place. The village was set up to offer a place to meet and get to know the FSFE but also to sit down and enjoy our infrastructure with power, internet, shadow and hot water for everyone. 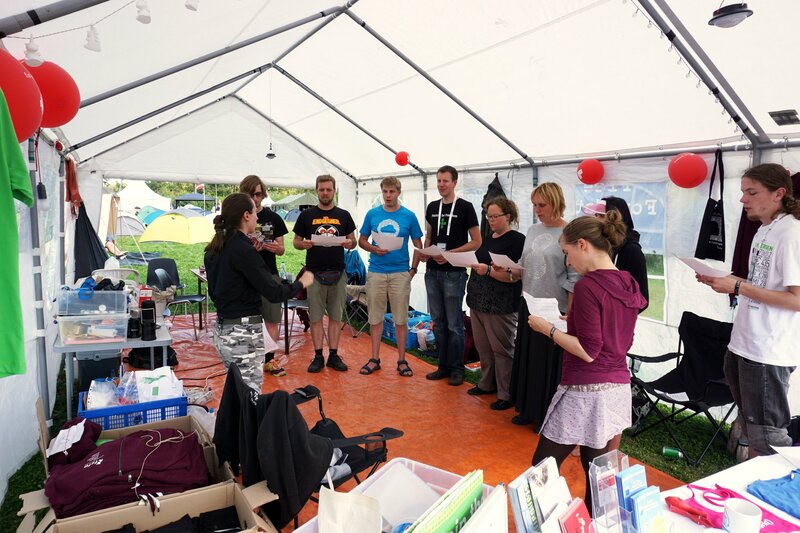 In addition, our village also offered a place for self-organised sessions like the Free Software Song choir or a FreedomBox install fest. 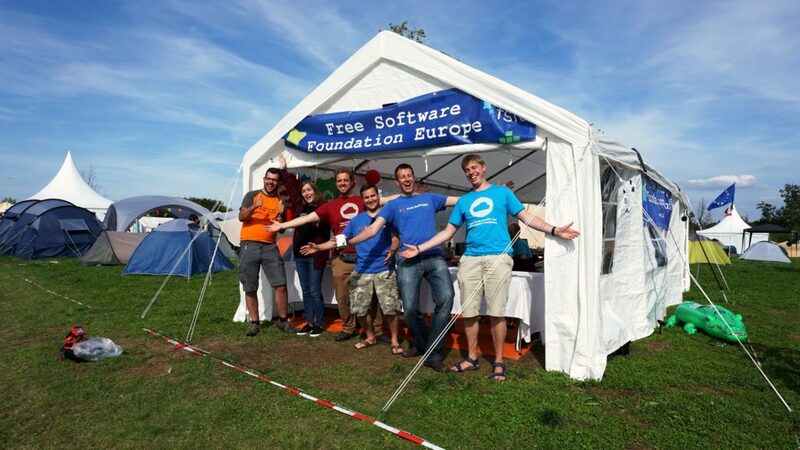 We have been very happy with the big interest in the FSFE and our activities and we like to thank everybody who made this event possible. 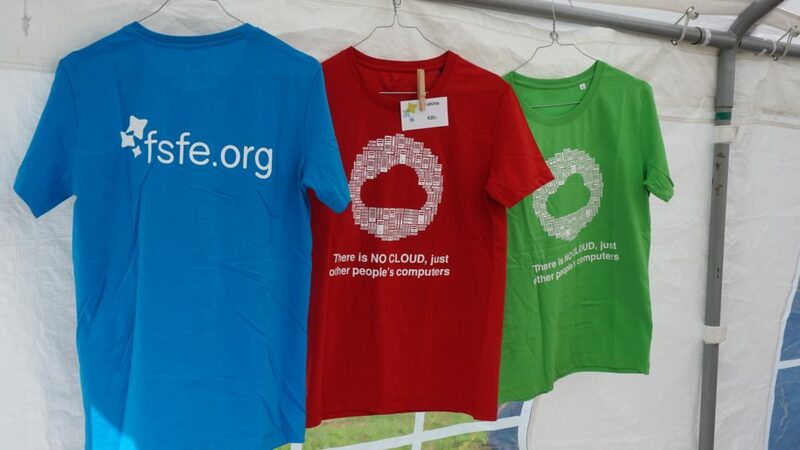 Our special thanks go out to all the angels for their priceless contributions, to our neighbours for their helping hands and to the organisation of SHA for offering us our own curated track with talks covering multiple aspects of Free Software. The FSFE village in the evening sun. 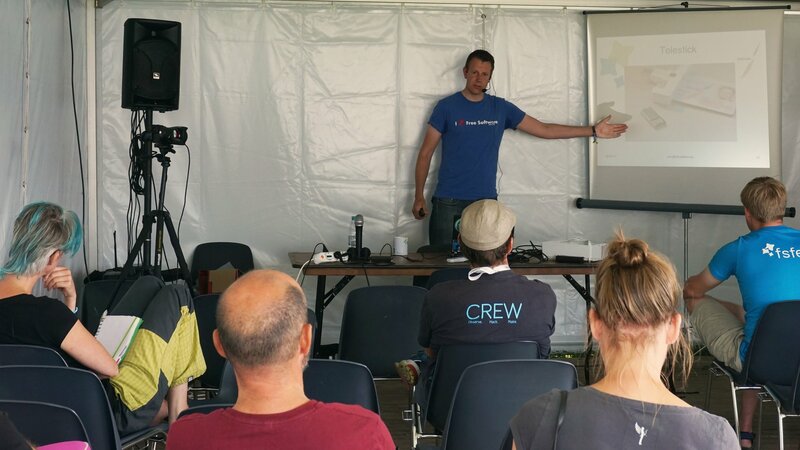 Ad-hoc FreedomBox Install Fest in the FSFE Village. Siesta in the FSFE Village. Still Hacking Anyway. 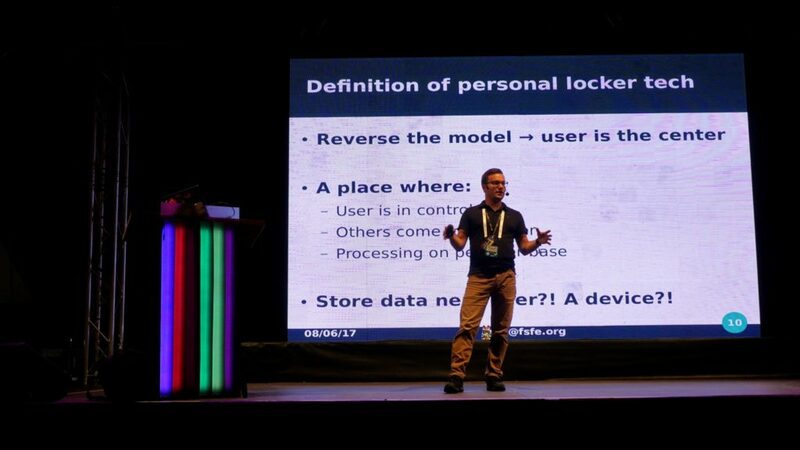 Maurice Verheesen, FSFE team coordinator Netherlands, talks about “Digital personal locker” on the main stage. 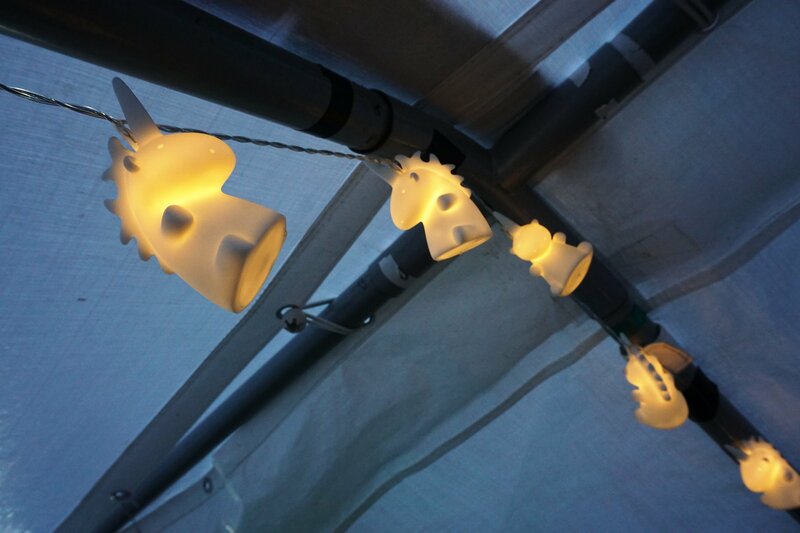 Lightning unicorns in the FSFE village. Bring your message where the people go: Free Software Song, FreedomBox, Libre laptops … guerilla postering for FSFE at SHA2017. 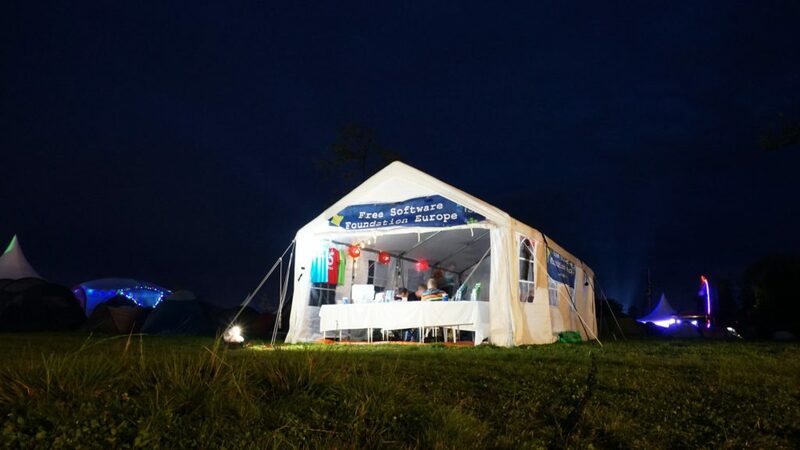 The FSFE village at night. 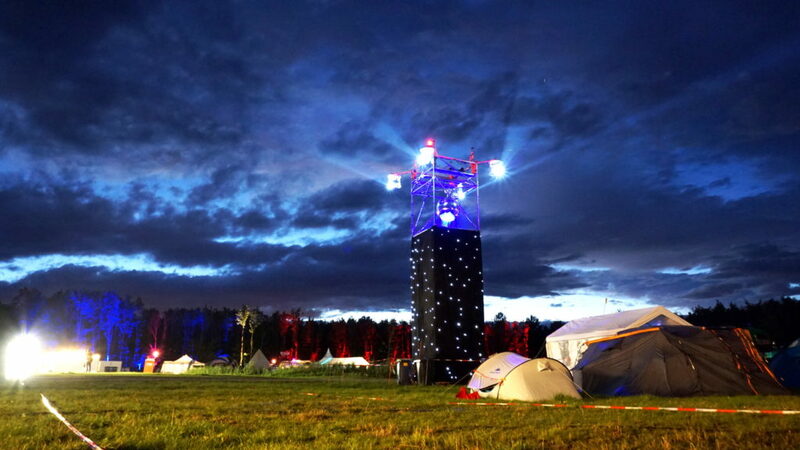 Our POV from out of the village at the watchtower.